Jaipur, 7 December: The 4th edition of the Jaipur Art Summit (JAS) began today at Ravindra Manch with a bonanza of activities. The Guests of Honour during the inaugural session of JAS were eminent artists Laxma Gaud and Anjani Reddy from Hyderabad as well as Founder & Partner Atelier Habib, UAE, Mr. Aakif Habib. A large number of students from various art and architecture institutes witnessed and participated in the summit. On the occasion, Mr. Laxma Gaud said that art practices and functioning should be focused in the right direction. An event like the Jaipur Art Summit is an inspiration and model for other cities to follow. He also stressed on the need for increased student participation in such activities. Artist Anjani Reddy said that JAS is indeed a mega art event with various art activities, creative workshops, demonstration of traditional art forms, movie screenings and art installations, among others. Founder & Partner Atelier Habib, UAE, Mr. Aakif Habib said that it is heartening to see artists from 25 countries and art works from 29 countries under one roof. The JAS is a significant step in the development and demonstration of art. In his welcome address, Founder Director of JAS, Mr. Shailendra Bhatt said that art has only one language across the globe – ‘art’ itself. The enthusiastic participation of the students in the summit has given a new direction to the event. The Jaipur Art Summit catalogue was also released during the inauguration.Founder, Lexicon Gallery, New Delhi, Ms. Mamta Nath, Founder, IMA Foundation, London, Mr. Radha Binod Sharma, Founder, MA Architects, Jaipur, Mr. Sharad Maithel and Founder, FS Foundation, Mr. Charan Singh Khangarot were felicitated on the occasion for their outstanding contribution to promote the art and culture. 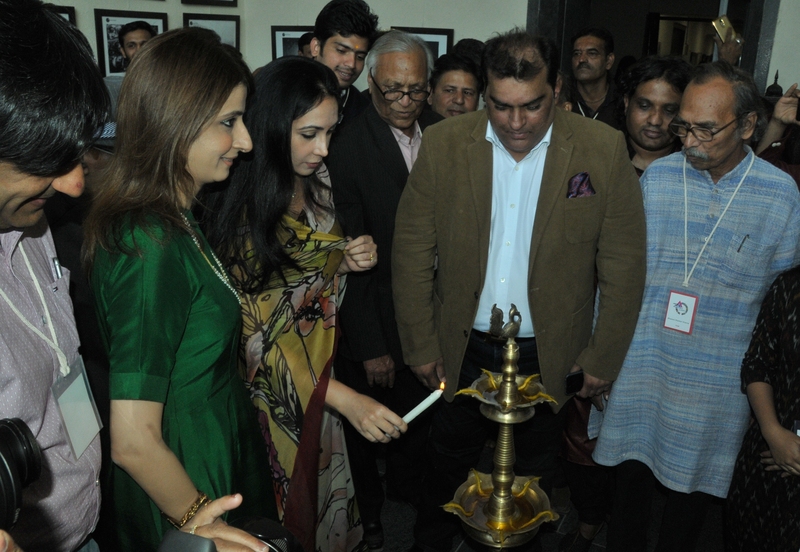 Later Sawai Madhopur, MLA, Princess Diya Kumari inaugurated the Art Camp and Exhibitions. On the occasion, she said that JAS is giving a platform to both renowned artists as well as artists who are not very well known to display their art works. It is thus a commendable initiative to promote different types of art. The first day of the event also witnessed interesting art talks and discussions. In the talk ‘Digital Art – Paper to Pixel’ Mumbai based architect Ms. Anuja Sawant and Jaipur based architect Mr. Gaurav Bhatnagr threw light on how architecture is related to multiple art forms. Ms. Sawant said that architecture is an amalgamation of technology and art. She perceives art to be an escape as well as a cognitive remedial therapy. She shared her experience of using a mobile phone to create digital artworks like festival greetings etc. Elaborating the idea further Mr. Bhatnagr said that with the new high pace technology and social media it is easier to make and share designs. He also gave a live demonstration of how designs can be easily made using various softwares. 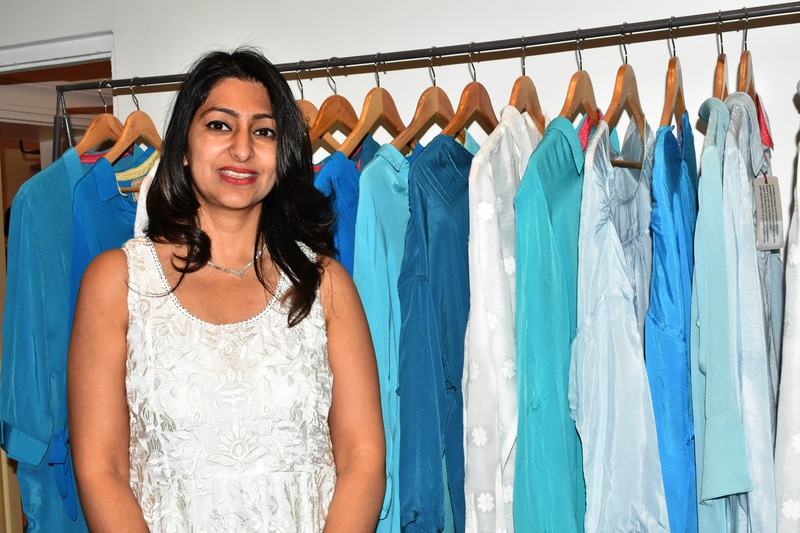 In the discussion, ‘The Makers Perspective – Arts, Craft and Design’ Mumbai based Swaroop Biswas and Jaipur based Ayush Kasliwal highlighted the point that how artists, craftsmen and designers are interlinked. In fact, a person often requires to don all three hats together. Mr. Biswas said that different art forms like sculpture, architecture and paintings are manifestation of the same things in different shapes and sizes. 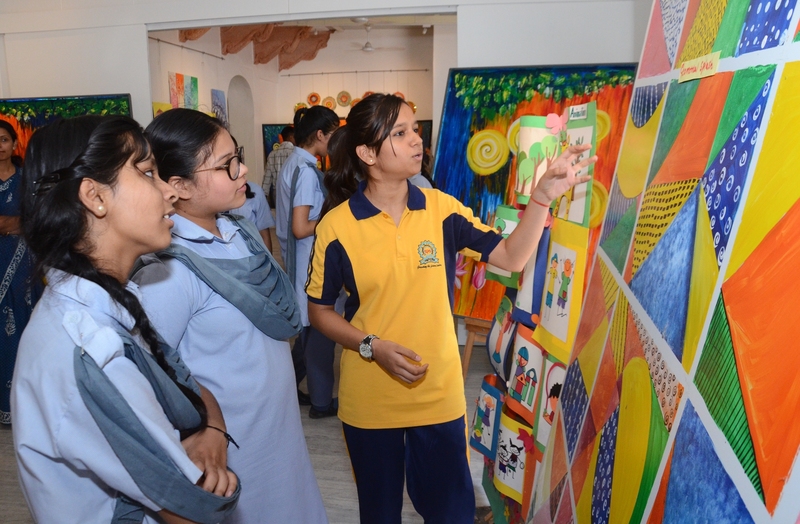 Mr. Kasliwal said that art is a though and the faculty to imagine. It allows one to think beyond the obvious parameters. He further said that design is not necessarily physical. A Book ‘The Stream — Poetry with Paintings’ by Dinesh Kumar from New Delhi was also released on the occasion. Art movies – ‘A Painter in the Woods, Ukraine’ by Thomos Schumacher and an animation film ‘Sound of Joy, India’ by Sukankan Roy were also screened. ‘Presentation & Creative Workshop on Indian Folk Art’ by Stroke Arts Studio, Singapore was also held. There were various art and musical performances like Sitar performance by Imran Khan from Mumbai and Tabla performance by Haider Khan. This was followed by an art performance by Jeetin Rangher from Bangalore. There was a vocal performance by Chinmayi Tripathi of Spice Route from New Delhi. In addition to this there were also live demonstration of various tribal and traditional arts. A calligraphy workshop is also being conducted at the summit. It is to be recalled that artists from different countries such as Austria, Argentina, Afghanistan, Bangladesh, China, France, Germany, Hungry, Iran, Israel, Italy, Japan, Korea, Kuwait, Myanmar, New Zealand, Netherlands, Nigeria, Singapore, Sri-Lanka, Sudan, Sweden, Ukraine, UAE, UK, USA, and Vietnam are showcasing their art at the event and are also participating in various activities to promote the craft.